CPA Partners, Are You Talking? CPA partner groups DO NOT talk too much, about the right things. Much like the lyrics of the song, they will casually chat with each other and often talk about people that they don’t really know – 2nd hand gossip. Much like the lyrics of the song, they will critique people and each other about things they have actually “never seen”. Again, 2nd hand or even third-hand information. If things are not going so well at a firm, if the partner group is not on the same page and there are under-currents of discord, it is usually a lapse in communication. The partners have skipped or cancelled their partner meetings. They go into a partner retreat unprepared and shy away from the more difficult conversations and topics. Simply talking more with each other and staying on topic not only helps communication, it builds teamwork among the partner group. Partners that meet regularly and talk about agenda items that are important in a very open and honest manner have fewer problems, challenges and issues. Larger partner groups: Have a formal quarterly meeting for 2 to 3 hours, or more. On the months you do not meet, go to lunch together at least once during those months. In multi-office firms, of course the lunches are by office. 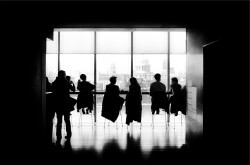 Smaller partner groups: Have a formal monthly meeting for 2 to 3 hours, or more. It’s much easier to schedule in a smaller firm but smaller firms seem to get out of the habit more often. For all firms, this should be a priority meeting. One of the most important responsibilities of a partner is to speak-up in meetings. Everyone MUST be heard. Often, more dominant personalities monopolize the conversations and discussions – managing partners should not let this happen, nor should the MP dominate every discussion. All concerns should be aired in the meeting NOT in the hallway or over a beer at the end of the day by partner cliques. For all firms, deal with factual information. Have a documented agenda (your firm administrator can assist with that) and don’t “table” the tough decisions until the next meeting. Be sure you “talk too much”. "Wise men talk because they have something to say; fools talk because they have to say something."